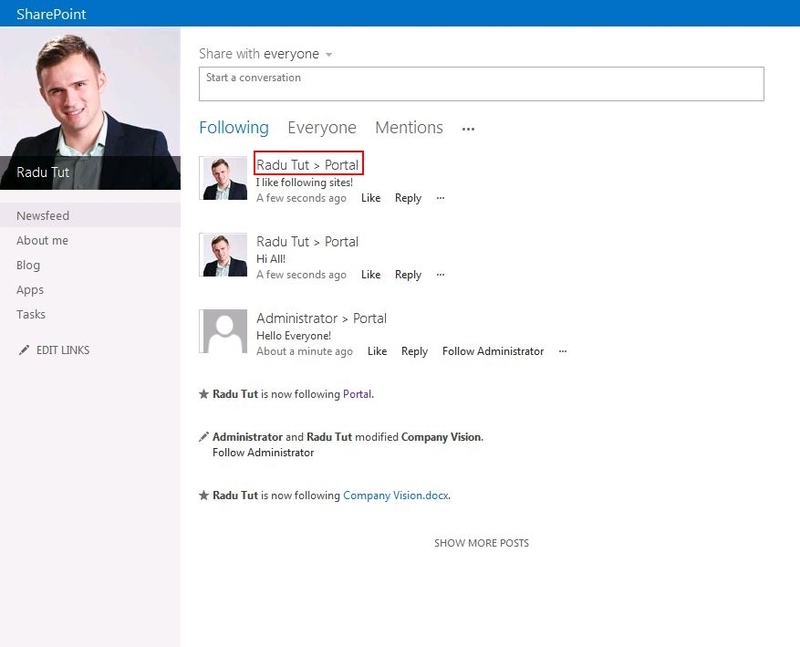 SharePoint 2013 brings several new features in the social and collaboration area. One of these features is the ability to follow content – sites and documents, and receive updates from them in the newsfeed . When you follow a document, you will get updates in the newsfeed if the item was updated. When you follow a site, this becomes a “channel” for your newsfeeds. You will be able to share posts just within that site. Newsfeed also appear in the My Site area. You can find more information about the social capabilities in SharePoint 2013 here. 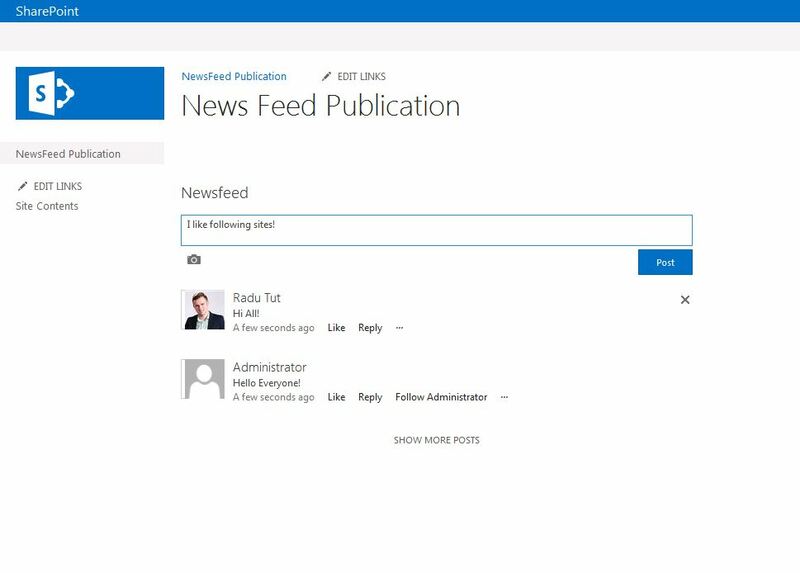 What do you think about following sites in SharePoint 2013? Hi and thank you for your blog and this post. it is really useful. I did what you said, and added a message (conversation) to the Site Feed web part which was added to a page on a publishing Page. But when I go to my Newsfeed (mysite) and try to reply to my message or like it. It generates following error. You don’t have access to the newsfeed on the site. Request access to participate in the conversation. Did you also follow that site? Once you start following a site, it will be displayed as a “channel” in the Newsfeed web part (when you create a post, you are able to choose the target audience – everyone, or just one followed site). And then you will be able to post, reply or like conversations from that site.